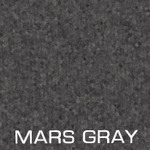 Click the button below to add the Mars Grey Sport Band Bootleg Pants to your wish list. Anatomic cut-- not restrictive. Better fit and movement, helps pants keep their shape.